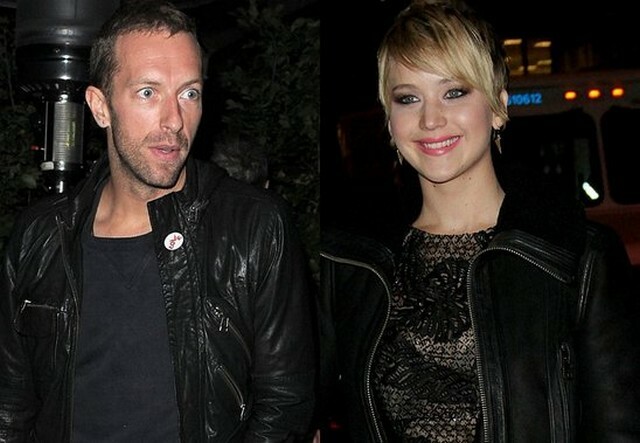 Jennifer Lawrence And Chris Martin Break Up, Were They Even Really In A Relationship? - T.V.S.T. Have you heard the breaking news? Jennifer Lawrence and Chris Martin have ended their strange romance after just a few months of dating. E! Online was the first site to report the heartbreaking news. According to the website, Lawrence and Martin started their relationship back in June. We are not sure how they know that, considering it wasn’t ever really confirmed that they were in a relationship. It’s obvious they did go on a few dates, but does that really qualify as a relationship? In any event, Us Weekly sources claim their “busy schedules” are the reason behind the split. “They really like each other, but it’s just so complicated with so much going on.” Ah, yes. How did I know the source would say something similar to that? It seems like that same source must be friends with every f–king person in Hollywood, because every time a Hollywood couple breaks up, it’s because of a busy schedule. Well, that’s not entirely true. Kris Jenner had to end things with Bruce Jenner because she wasn’t attracted to women. But usually it’s because of a busy schedule. When are these sites going to admit their “source” is some sandwich delivery guy named Dave? Anyway, now that Jennifer Lawrence is officially single again, let’s try to help you land a date with her. In the November issue of Vanity Fair, the 24-year-old actress explained what she wanted in a relationship. Someone who will watch reality TV with her. A dude who isn’t afraid to fart in front of her. Someone who hates to fight as much as she does. Does that describe you? If so, you could be the next Mr. Lawrence! Kris Jenner’s New man Corey Gamble admits Lying About his age, hints drug use in the Kardashian house and Kim – Kanye marital issues.